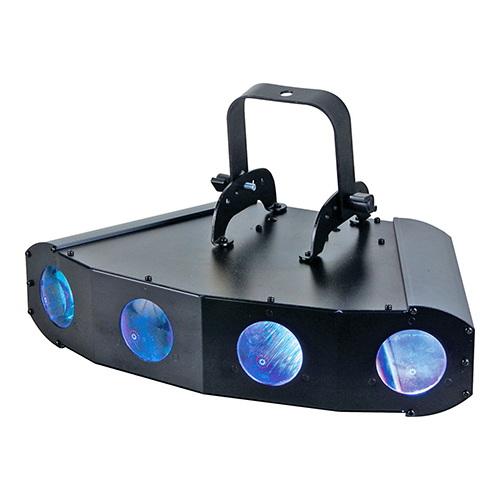 The Revo Xpress offers 256 bright red, green, blue and white LED beams, plus large beam coverage and a lightweight, durable case design. 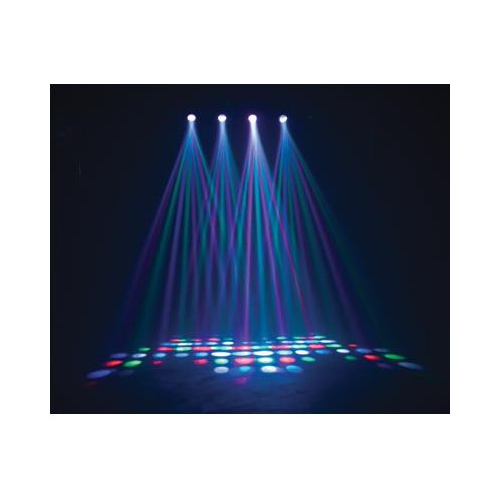 This easy-to-use lighting effect can be run in sound active, DMX, or master/slave mode. 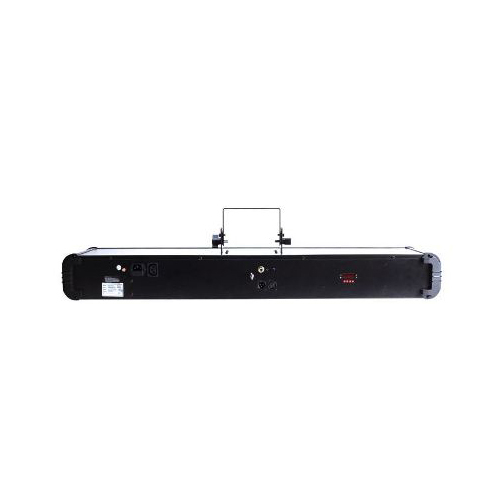 American DJ's Revo Xpress provides all of the eco-friendly features that mobile entertainers have come to expect from LED lighting such as: low power consumption, no duty cycle (runs all night), low heat output, and extremely long LED life (rated at 100,00 hours). 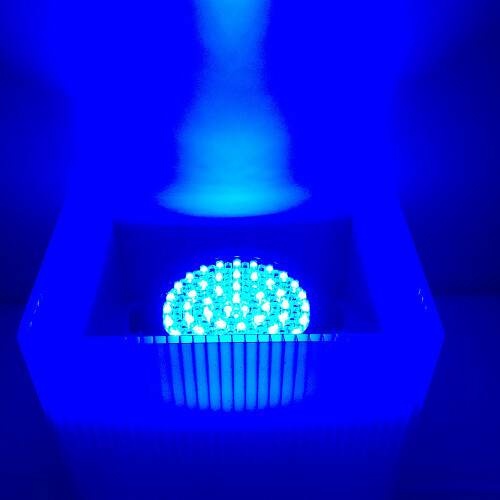 This DMX LED effect looks great with or without fog. 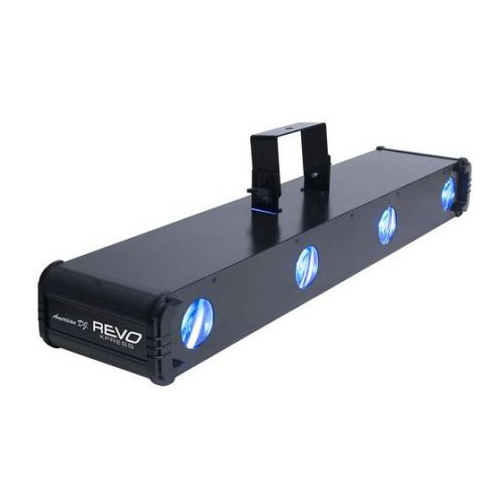 The American DJ Revo Xpress moonflower, part of the popular Revo Series, is designed for events on the go (like event planners, DJs, and bands) that are looking to lighten their load by only bringing one or two lighting effects to their gigs, yet still want a high-impact lighting show. 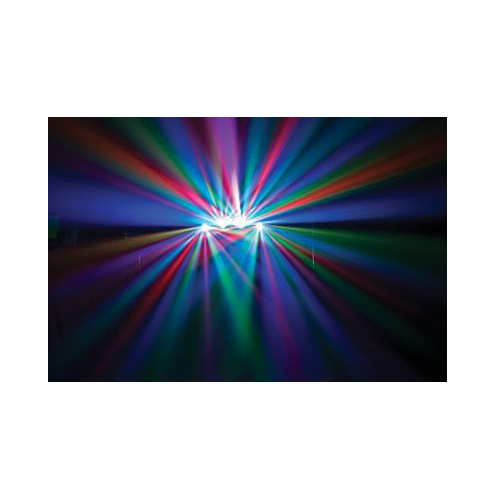 American DJ’s Revo Xpress provides all of the eco-friendly features that mobile entertainers have come to expect from LED lighting such as: low power consumption, no duty cycle (runs all night), low heat output, and extremely long LED life (rated at 100,00 hours). This DMX LED effect looks great with or without fog.